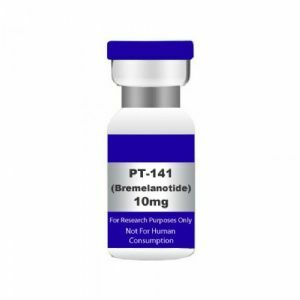 PT-141 Bremelanotide 10mg. USA MADE PEPTIDE HIGHEST QUALITY AVAILABLE. 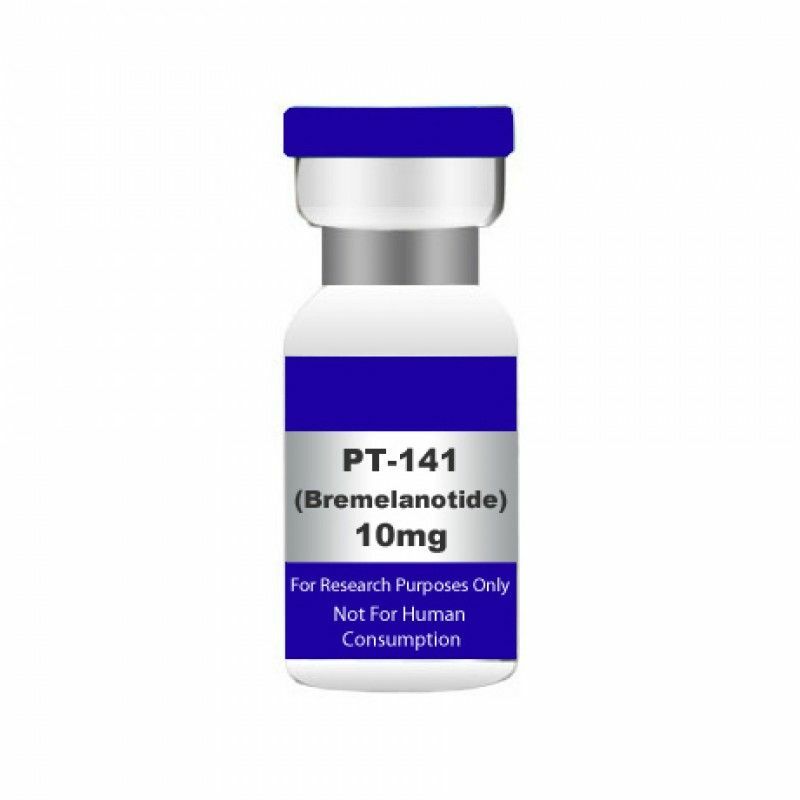 PT141 - Bremelanotide Bremelanotide (formerly PT-141) is being tested for use in treating sexual dysfunction in men (erectile dysfunction or impotence) as well as sexual dysfunction in women (sexual arousal disorder). Purity (HPLC) : 98% min. 10mg per vial . Availability: In stock Product Description Molecular Formula : C50H68N14O10 Molecular Weight :1025.2 CAS No. : 32780-32-8 Sequence: CH3CO-Nle-[Asp-His-(d)-Phe-Arg-Trp-Lys]-COOH For RESEARCH PURPOSES ONLY Bremelanotide (formerly PT-141) is the generic term for a new medication for use in treating sexual dysfunction in men (erectile dysfunction or impotence) as well as sexual dysfunction in women (sexual arousal disorder). Bremelanotide (PT-141) does not act on the vascular system like the former compounds but it is known to increase sexual activity in both male and female mammals. Bremelanotide allegedly works by activating melanocortin receptors in the brain.